Born as Eunice Elizabeth Sargaison in Surrey on March 17th, 1928, Gayson found an interest in the arts at an early age, attending singing and dancing lessons as a teenager before landing an audition for a television revue. Her first feature film credit came at age 17 when she was cast in the 1948 production of 'My Brother Jonathan'- a wartime romance. From there she won roles in various features, notably a Goon's film 'Down Among the Z Men' (1952), where Gayson worked with regulars Harry Secombe, Spike Milligan, and Peter Sellers. The same year she performed in the made-for-TV 'Goonreel', a parody of news broadcasts by the famous comedy trio. Bond: I admire your courage, Miss...? Sylvia: Trench. Sylvia Trench. I admire your luck, Mr...? After a string of forgettable features, Gayson took a semi-regular slot on 'Douglas Fairbanks, Jr., Presents', appearing in five separate stories between 1954-55. By 1958 she had landed the female lead in Peter Cushing's 'The Revenge of Frankenstein', the cult sequel to 'The Curse of Frankenstein' (1957). 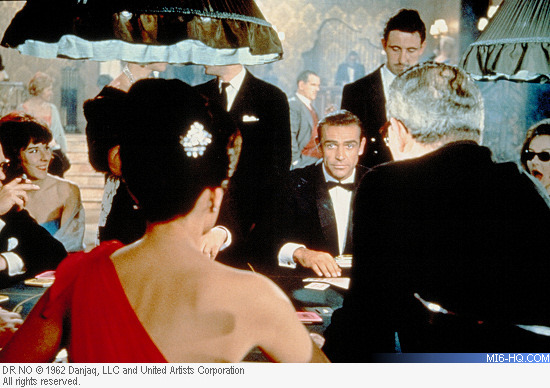 1962 saw Gayson's first run-in with 007. She was initially considered for the role of Miss Moneypenny in 'Dr. No' but instead she was cast as Bond's "recurring" girlfriend Sylvia Trench. She remains the only actress to have played the same love interest for James Bond in more than one film. Her scene opposite Connery's making his introduction as "Bond, James Bond" will forever be remembered. Back in 2012, Gayson recalled how she helped Connery with the famous scene: "I'd known Sean for years and I'd never seen him so nervous as he was on that day because of all these delays," she said. "He had to say Bond, James Bond, but he came out with other permutations like Sean Bond, James Connery. 'Cut! Cut! Cut!' Terence Young told me to take him away for a drink - even though he was meant to be on the wagon - so I took him off for a drink or two and he came back on set and said: 'Bond, James Bond'. It was so wonderful. The day took off from that moment. He was so relaxed." Gayson returned for 1963's 'From Russia With Love', but her part was reduced to a mere cameo. When Guy Hamilton won the job of directing 'Goldfinger' she was not asked back to the 007 set. In both of her Bond adventures, Gayson's voice was dubbed by Nikki van der Zyl. Her real voice can be heard in the 'Dr. No' trailer. Beyond Bond, Gayson appeared in episodes of 'The Avengers', 'Danger Man' and 'The Saint', with would-be 007 Roger Moore. Her last onscreen credit is a token episode of espionage drama 'The Adventurer', starring Gene Barry. In 1990, Gayson appeared on stage in the musical 'Into the Woods' as Little Red Hood's grandmother at the Phoenix Theatre, London. He final onscreen credit came in an episode of 'Masterchef' in 2013. She published her memoirs 'The First Lady of Bond' in 2012. Bond: Well, I've just been reviewing an old case. Sylvia: So I'm an old case now, am I? Eunice passed away in Surrey, England on Friday 8th June 2018 at the age of 90. She is survived by her daughter Kate (who made a cameo in the 'GoldenEye' casino scene in 1995) and her two grandchildren Morgan and Jessica. 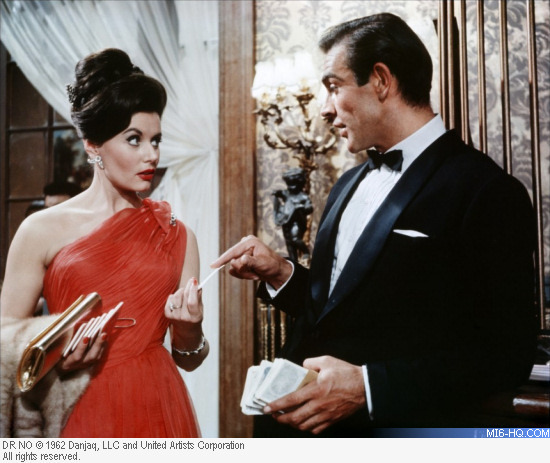 James Bond Girls MI6 takes an indepth look at Eunice Gayson`s character Sylvia Trench from "Dr. No" and "From Russia With Love"